Which type of basin wrench should you choose? What is a basin tap wrench? 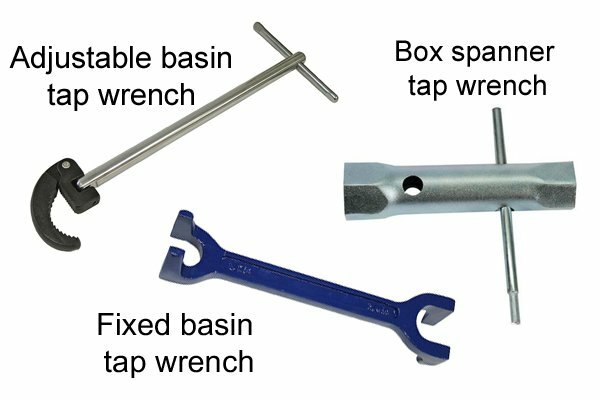 What are basin tap wrenches used for? What are the different types of basin tap wrench? Do basin tap wrenches come in sets? 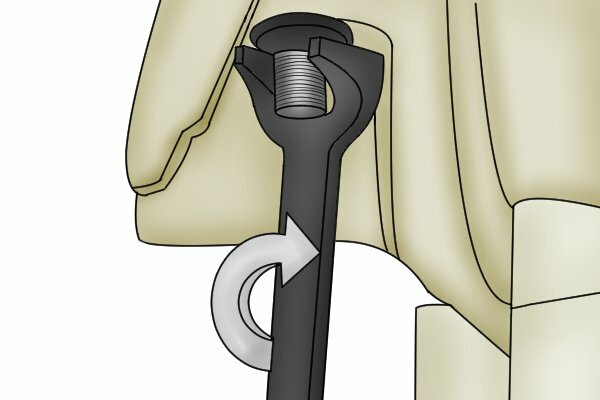 What are the parts of a fixed basin wrench? What are the parts of a tap fitting? What are the parts of an adjustable basin tap wrench? 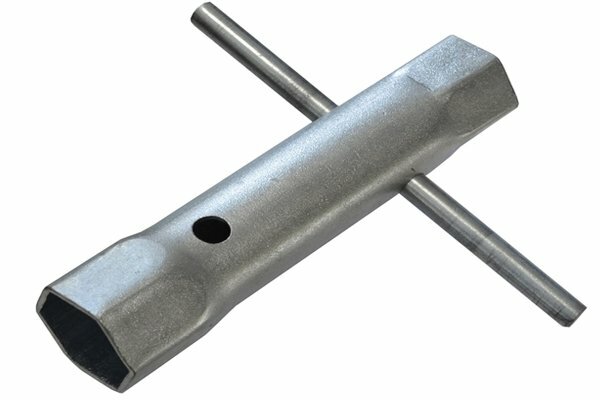 What are the parts of a box spanner tap wrench? What are basin tap wrenches made from? 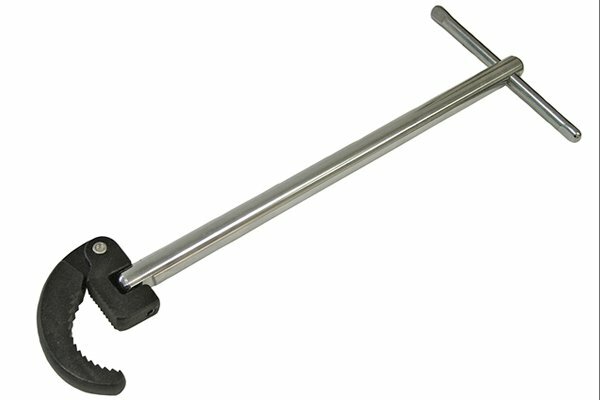 Do basin tap wrenches come in different sizes? How do you use an adjustable basin tap wrench? How do you use a fixed basin tap wrench? How do you use a box spanner basin tap wrench? Are there other types of basin tool available? There are many different models of basin wrench from which to choose. Below is a guide to help you decide which is best for you. Anyone interested in home improvements will need to have one of these in his / her armoury. 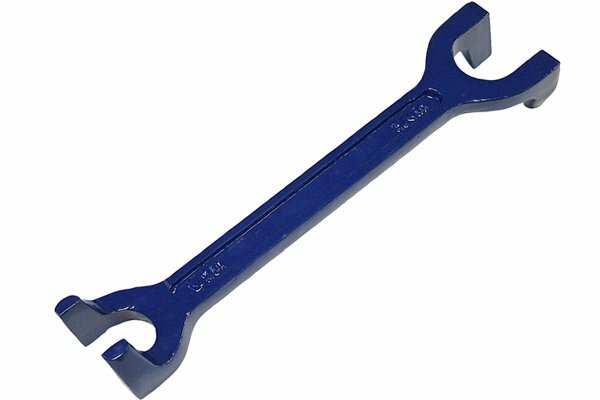 Fixed basin wrenches are similar to an ordinary spanner insomuch as they have fixed jaws that are for use on 1/2 and 3/4 inch nuts and fittings. These wrenches are designed for removing basin, sink, and bath tap backnuts. They are strong and sturdy but, because they are fixed, can only be used on specific sized nuts. With particularly stubborn or rusted nuts, it may be difficult to apply the required amount of leverage to move them. What are the advantages and disadvantages of a fixed basin wrench? Rotating around the vertical axis gives a fixed basin wrench the advantage of being able to be used in confined spaces where using a traditional spanner would be impossible. A disadvantage of rotating around the vertical axis is that because you have less leverage, it may be harder to produce the torque needed to loosen extremely tight nuts or rusted fittings. The bulky nature of these traditional type of basin wrench may mean that it is unsuitable for many modern basins of a contemporary design, where access to the backnut is severely limited. The adjustable basin wrench has the advantage of a longer reach than the conventional fixed basin wrench, and the T-bar handle allows you to apply greater leverage when turning. 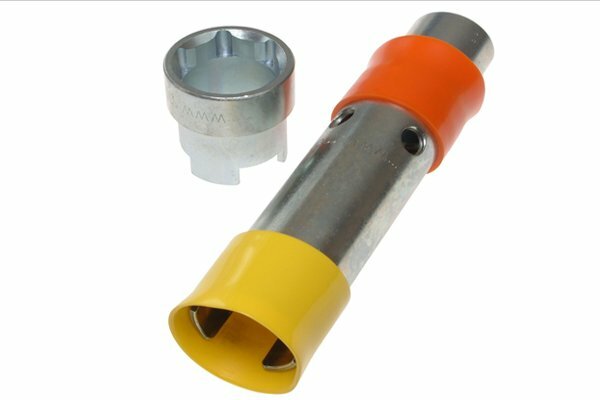 As well as this, the adjustable jaws allow it to be used on a wider variety of nut and fitting sizes, though the tool may take some getting used to if you are unfamiliar with it. The jaws are toothed and can even grip nuts that have been rounded. The tool can also be used with an action similar to a ratchet type wrench. The spring-loaded jaws allow you to turn the tool in the opposite direction without turning the backnut, allowing you to make small turns when access is restricted. 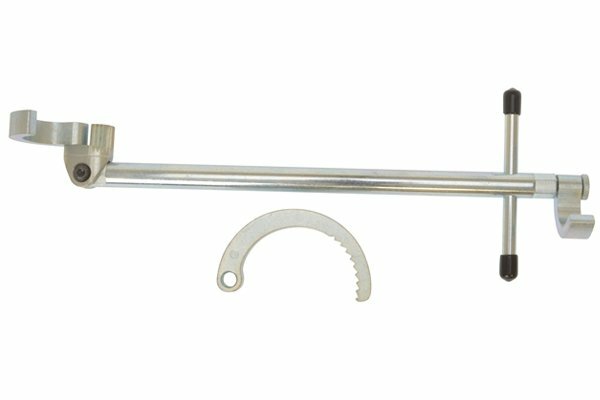 Adjustable basin wrenches with interchangeable jaws are extremely useful because they can accommodate nearly all sizes of nuts or fittings you may encounter in domestic plumbing systems. If you are a regular user of this tool, then investing the extra few pounds in a model with interchangeable jaws will mean you are well-equipped to tackle any job that might come your way. 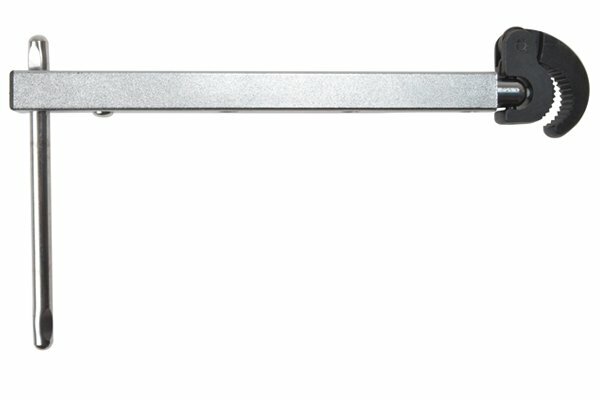 Although a standard adjustable basin wrench will normally provide you with the extra reach you need to get at those tricky nuts, having a model with a telescopic handle can be invaluable when you are faced with a nut or fitting that is so deeply recessed that only this tool can solve the problem. It may just save you a lot of time and labour. The box spanner basin wrench is great for working in tight spaces and its hexagonally-shaped ends fit perfectly over nuts and fittings, though, like the fixed basin wrench, they are restricted to use on nuts of specific sizes. These tools work very well when removing stubborn or rusted nuts. It is worth checking to see if your fittings are accessible with a box spanner basin wrench, as piping and hoses may render this tool unusable and you may be better off with a fixed or adjustable basin wrench. This tool would generally be your first tool of choice, particularly at installation before pipework is fitted. If you are removing rusted or stubborn nuts, then the specialised Stiffnuts box spanner is ideal. It fits over the threaded tap tail and uses the mechanical advantage to remove stiff nuts.